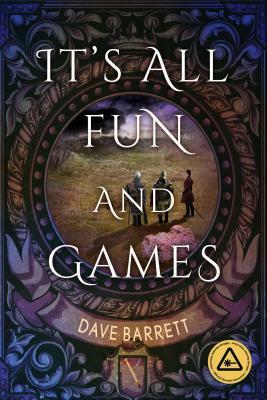 When Allison’s best friend, TJ, convinces her to come along for an epic game of LARP (live-action role-playing), she reluctantly agrees despite her reservations about the geeky pastime. TJ’s weekends are filled with powerful wizardry, mystical creatures, and intense battles with his LARP group. Each adventure is full of surprises, but the goal is always the same: to defeat the monsters and find the treasure. Now they must fight for survival against brigands, kobolds, and other deadly mythical creatures that come to life. Fortunately, the group’s once-fictional magical powers have also become real – including Allison’s newly acquired gifts as a healer. They’ll need everything in their arsenal if they hope to make it home alive. At first I was hesitant about this book – live action role playing? Eeehhhh, not really my thing. But I convinced myself to keep reading because one should always give things ago (unless it’s something like climbing into a dragon’s mouth, probably give that one a miss). AND THANK GOD I DID. This is basically an OH SNAP the imaginary thing ain’t imaginary no more. So the group imagines epic stuff and then dun dun dunnn something’s wrong! It’s becoming real! *much gasping* I can’t believe how epic this is likely, probably, hopefully-definitely going to be! *runs in circles* I feel like this is dangerous possibility for all of us – imagine if we were reading a book and then suddenly everything starts coming to life. But I mean, can we all flail over the fact that their magical powers also come to life? Ohhh boy, so much yes for this book. AND THE COVER. *faints* It’s all far too exciting, really. I’m in love with this cover. I think it might be the purple tones, yes, yes it’s definitely the purple. NONETHELESS, before I die of yessness from this book I just was to finish up by saying I’m very definitely excited about it all because I think it sounds magnifique! Sounds really good! And yes the cover is faint worthy! *excited dance* thanks for linking! Awesome! You’re welcome 😁 thanks for linking! This sounds like it could be a fun one! Great pick! I’m really excited for it!! Thanks for linking!